Hugh Baker has served as Chief Financial Officer of Scorpio Bulkers since its inception in 2013. 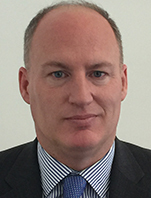 Mr. Baker also serves as a Managing Director of Scorpio USA LLC focusing on business development and finance for Scorpio Tankers and the Scorpio Group. Before he joined Scorpio, Mr. Baker was a Managing Director in the investment banking team at Evercore Partners in New York, concentrating on the shipping industry. Prior to this he was the Head of Shipping at HSH Nordbank in New York, and was previously a Managing Director in the ship finance team at ING Bank in London. Mr. Baker has also worked in chartering and commercial roles for Greek-owned shipping companies in London. Mr. Baker has a BA from the London School of Economics and a MSc in Shipping, Trade & Finance from Cass Business School. Mr. Baker is a Fellow of the Institute of Chartered Shipbrokers.